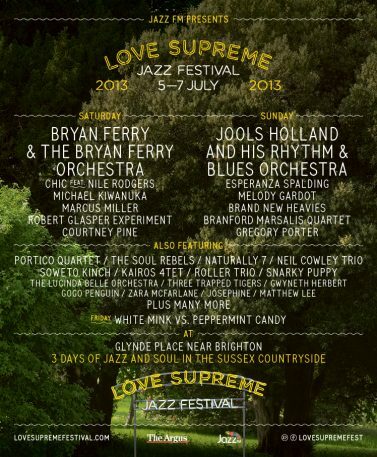 Naturally 7 will be appearing at the ‘Love Supreme Jazz Festival 2013’ on Saturday, 6th July at Glynde Place, Sussex. Found in the charming village of Glynde and set against the back drop of an Elizabethan manor house, Glynde Place’s ample grounds provide the perfect setting for The Love Supreme Jazz Festival. Situated just outside of Lewes and just a 5 minute walk from Glynde train station, the site is less than an hour’s train journey from London and under half an hour from Brighton. An enchanting piece of classic English country living, Glynde Place has been nestled amongst the stunning South Downs for over 400 years. Now, in 2013, the grounds will come alive once more as it welcomes Jazz fans from around the country. This world-class programme will be combined with a festival experience that will celebrate the culture of jazz. From the very best in food and drink to the influence of Jazz on film and dance, The Love Supreme Jazz Festival will create and one-of-a-kind, family-friendly experience that will welcome all Jazz fans from across the country. 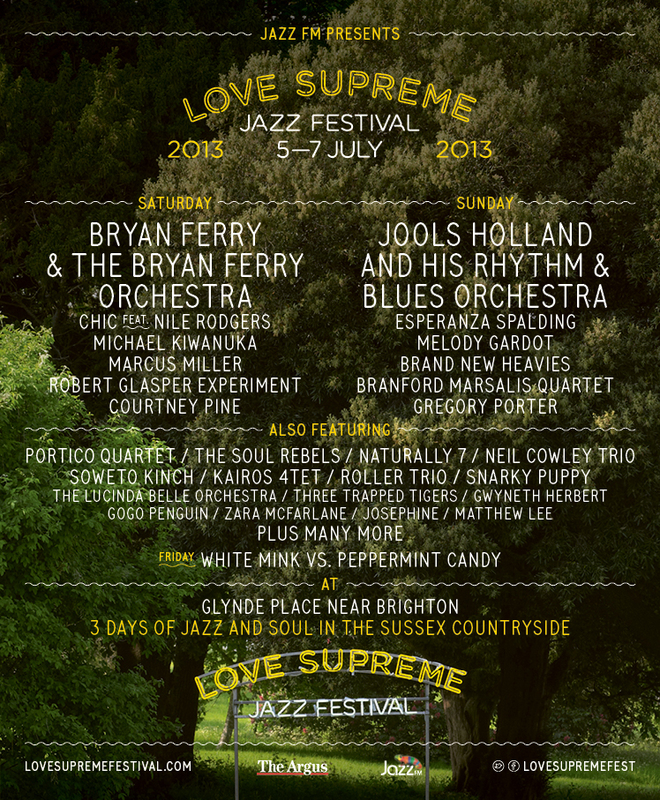 This entry was posted in News and tagged Glynde Place, Love Supreme Jazz Festival 2013. Bookmark the permalink. Naturally 7 ‘Special Guest’ on Michael Bublé’s upcoming tour!